[S11] Alison Weir, Britain's Royal Families: The Complete Genealogy (London, U.K.: The Bodley Head, 1999), page 79. Hereinafter cited as Britain's Royal Families. [S6] G.E. Cokayne; with Vicary Gibbs, H.A. Doubleday, Geoffrey H. White, Duncan Warrand and Lord Howard de Walden, editors, The Complete Peerage of England, Scotland, Ireland, Great Britain and the United Kingdom, Extant, Extinct or Dormant, new ed., 13 volumes in 14 (1910-1959; reprint in 6 volumes, Gloucester, U.K.: Alan Sutton Publishing, 2000), volume XII/1, page 153. Hereinafter cited as The Complete Peerage. 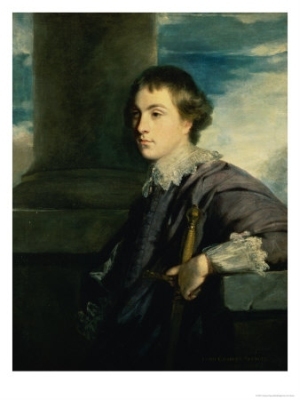 [S6] Cokayne, and others, The Complete Peerage, volume XII/1, page 154. [S6] Cokayne, and others, The Complete Peerage, volume II, page 171. 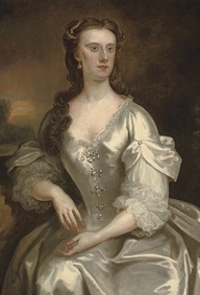 From 14 February 1734, her married name became Spencer. 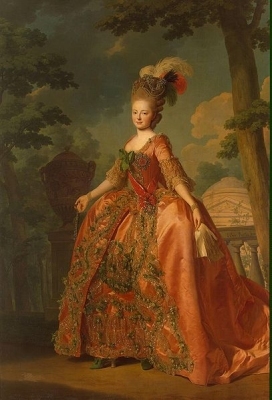 After her marriage, Lady Georgiana Caroline Carteret was styled as Countess Cowper on 1 May 1750. [S6] Cokayne, and others, The Complete Peerage, volume XII/1, pag 153. [S12] C. Arnold McNaughton, The Book of Kings: A Royal Genealogy, in 3 volumes (London, U.K.: Garnstone Press, 1973), volume 1, page 213. Hereinafter cited as The Book of Kings. [S12] C. Arnold McNaughton, The Book of Kings, volume 1, page 293. [S5] Dulcie M. Ashdown, Victoria and the Coburgs (London, U.K.: Robert Hale, 1981), page 26. Hereinafter cited as Victoria and the Coburgs. [S12] C. Arnold McNaughton, The Book of Kings: A Royal Genealogy, in 3 volumes (London, U.K.: Garnstone Press, 1973), volume 1, page 96. Hereinafter cited as The Book of Kings. 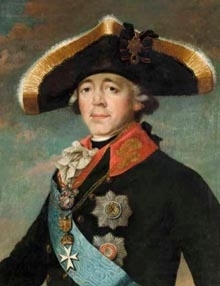 He and Sophia Sergievna Vsevolozhsky were associated circa 1795. He gained the title of Tsar Aleksandr I of Russia on 24 March 1801.1 He and Princess Maria Swiatopelk-Czetwertynski were associated between 1806 and 1808. He and Marguerite-Josephine Weimer were associated circa 1813. 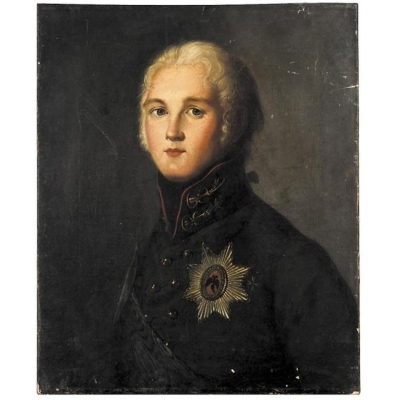 He gained the title of King Aleksandr of Poland in 1815.4 He gained the title of Grand Duke Aleksandr Pavlovich of Russia.1 He and Veronica Dzierzanowska were associated circa 1817. He and Barbara Tourkestanov, Princess Tourkestanova were associated circa 1818. He and Maria Ivanova Katatcharova were associated circa 1820. [S12] C. Arnold McNaughton, The Book of Kings: A Royal Genealogy, in 3 volumes (London, U.K.: Garnstone Press, 1973), volume 1, page 293. Hereinafter cited as The Book of Kings. [S12] C. Arnold McNaughton, The Book of Kings, volume 1, page 295. [S16] Jirí Louda and Michael MacLagan, Lines of Succession: Heraldry of the Royal Families of Europe, 2nd edition (London, U.K.: Little, Brown and Company, 1999), table 138. Hereinafter cited as Lines of Succession. [S12] C. Arnold McNaughton, The Book of Kings: A Royal Genealogy, in 3 volumes (London, U.K.: Garnstone Press, 1973), volume 1, page 202. Hereinafter cited as The Book of Kings. 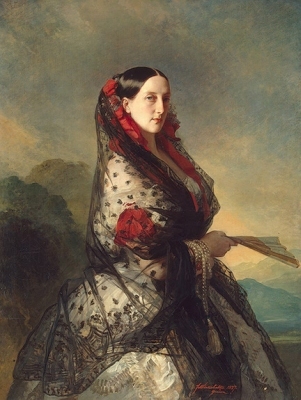 Mariya Nikolaievna Romanov, Grand Duchess of Russia was born circa 18 August 1819 [6 Aug 1819 O.S.] at Pavlovsk, RussiaG. She was the daughter of Nikolai I Pavlovich Romanov, Tsar of Russia and Friederike Luise Charlotte Wilhelmine Prinzessin von Preußen. She married, firstly, Maximilian Joseph Eugène Auguste Napoléon de Beauharnais, 3rd Duc de Leuchtenberg, son of Eugène de Beauharnais, 1st Duc de Leuchtenberg and Auguste Prinzessin von Bayern, on 14 July 1839 [2 July 1839 O.S.] at St. Petersburg, RussiaG. She married, secondly, Count Grigorii Aleksandrovich Strogonov on 4 November 1856. She died circa 21 February 1876 [9 Feb 1876 O.S.] at St. Petersburg, RussiaG. She gained the title of Grand Duchess Mariya Nikolaievna of Russia.3 From 14 July 1839, her married name became de Beauharnais. From 4 November 1856, her married name became Strogonov. [S12] C. Arnold McNaughton, The Book of Kings: A Royal Genealogy, in 3 volumes (London, U.K.: Garnstone Press, 1973), volume 1, page 215. Hereinafter cited as The Book of Kings. [S12] C. Arnold McNaughton, The Book of Kings, volume 1, page 296.